1. Include the link of my post to your post. 3. Post ten of your questions for your nominated blogs to answer. 4. Nominate ten blogs having less than 500 followers. 5. 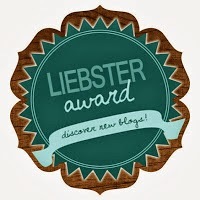 Post the link of your nomination post on their blog. 2.What is your favorite place to read and why? My bed ..why? because is fluffy . 3. What book do you wish you had written? The fault in our stars- John Green .. i don't read it but i'm very sure that is a very good book because i know John Green and he's OSAM! 4. What are the books you couldn't finish reading and why? 5. What is your funniest memory related to books? When i start laugh because something funny happened in the books and everyone look at me and they started laugh too. 6. Is there any book your friends are in love with and you don't like it? If yes, which one and why? Damnare - Lauren Kate ..everyone like it ..i don't know why. 7. What is your favorite villain character? 8. What is the saddest book you've ever read? 9. What genre of books you don't like reading and why? 10. What is the author you strongly recommend? 2. One movie who you like more than the books ? 5.Do you have a book signed by the author? 9. Which is your favorite book cover? Mă bucur că ţi-ai făcut timp şi pentru lepşuţa mea >:D<. Cred că tuturor ne place să citim în pat :)).